Drop some fat bass, add a subtle dial tone, set up a solid off-hand vocal sample and we're cooking with Dirtybird fire. Just send it home with a few stuttering samples, a barrage of infectious rhythms, warm undulating melodies and "Birds and The Bees" is a quirky house track made for this compilation. Funny enough, it seems CODES may have unknowingly stumbled upon it when he was first putting it together. 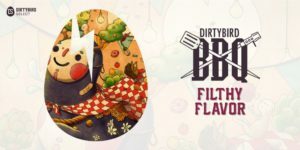 The Dirtybird BBQ tour will kick off in Austin on May 19th, followed by a return to Oakland on June 2nd, and Los Angeles on July 8th.